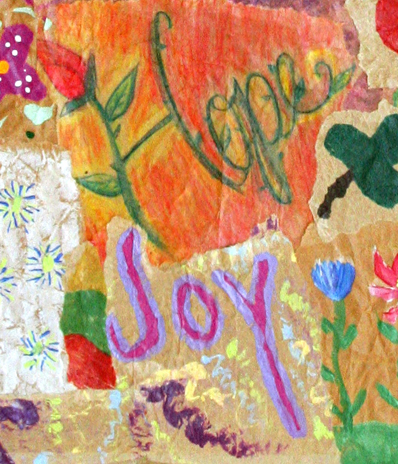 Art Projects - Women In Need, Inc.
Healing is a process that all victims must go through. 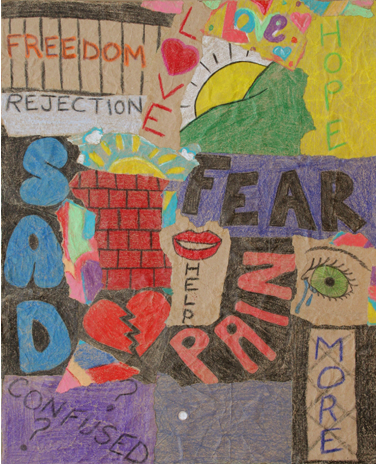 One of the ways that some victims heal is through art. 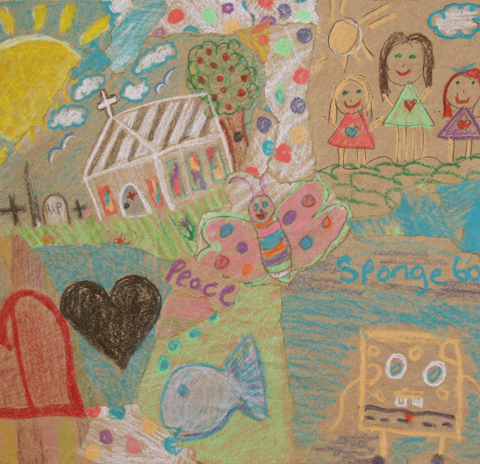 The art displayed on this site are pieces that some of our victims have put together during their healing process. 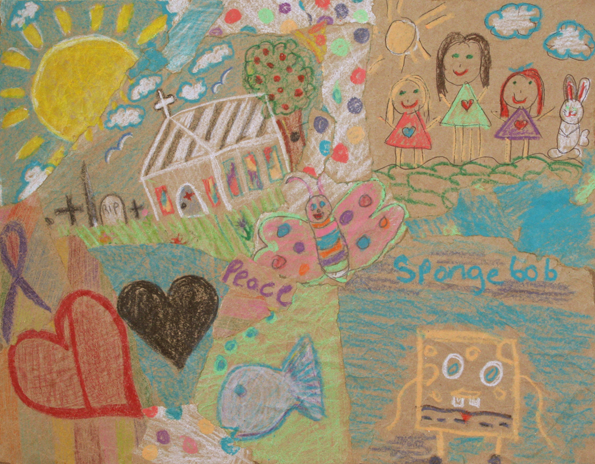 Our artwork is copyrighted and you must have written expressed permission to use. Contact us for more information. 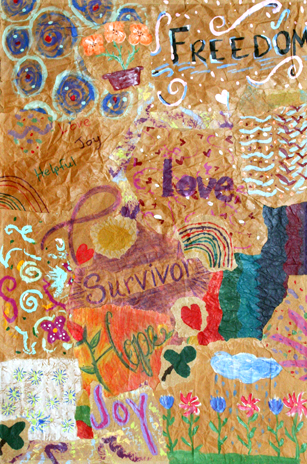 “Pieces of Our Journey” is the title of a project that began by tearing paper bags into odd shapes, drawing on these pieces, and putting them together to create a picture that represents the journey traveled by different victims served by Women In Need.